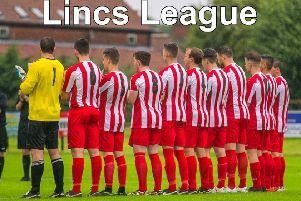 After back-to-back wins for Bottom of the League in recent weeks, they were finally defeated in the Caistor Side-a-Side Football League by a resurgent CTFC. Nathan Harris was the standout performer as CTFC look to gatecrash the top two after four straight wins. Game two brought the result of the night and one of the performances of the season so far as Caistor Techys were finally defeated after seven consecutive wins. The league leaders had conceded only three goals prior to kick-off, but Dynamite Parfitt threw the form book out the window with a 2-1 win. Dynamite had their man-of-the-match Rob May to thank for an excellent performance in a hard-fought match to end a three-game losing streak in style. Grey and Young Ones faced NK Dons with both teams lacking confidence after two consecutive defeats. In a tight, cagey affair, Nathan Smith picked up his second man-of-the-match award of the season, helping his team over the line with a narrow 1-0 win. The final match-up saw bottom side Crusaders take on Young Prospects. Crusaders had taken Caistor Techys all the way last week, while Young Prospect had lost just once in five matches. Prospects looked to capitalise on dropped points at the top and did so comfortably as an Alex Lusby-inspired performance earned a 7-0 win. They are now eyeing a critical showdown against Techys on December 1.